Drive around the Denver area in the new 2019 Audi A4 and you'll be in a luxury sedan that bests the competition in multiple categories. Not only does the 2019 Audi A4 engine yield remarkable performance, but the sophistication and luxury you'll feel in the Audi A4 interior goes unmatched. And when you put it up against the 2019 BMW 330i xDrive, the decision to choose the 2019 Audi A4 won't be difficult. Visit our Audi dealer near Denver, CO, to experience the breathtaking Audi A4 features for yourself, then get the keys to a new 2019 Audi A4 when you take advantage of our competitive 2019 A4 lease and finance incentives. 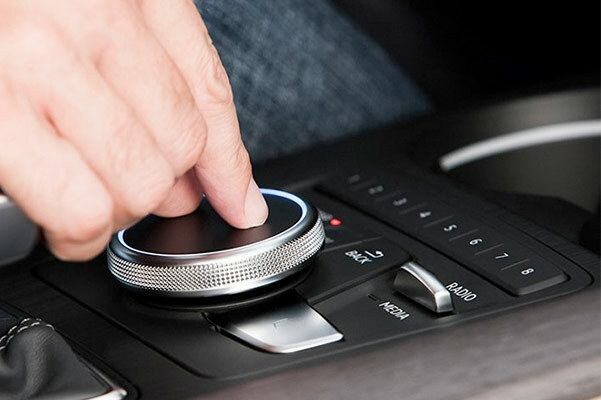 The 2019 Audi A4 is outfitted with capable drivetrain technologies that are invaluable for any Colorado journey. The quattro® all-wheel drive system sends torque directly to the appropriate wheels, creating an Audi A4 experience that'll always have you gripping the road regardless of weather. And those capable drivetrain features come at a lower cost than those of the 2019 BMW 330i xDrive. Even the 2019 A4 Premium treats you to standard interior amenities like leather seating and Apple CarPlay™ or Android Auto integration. You'd have to buy a different and more expensive BMW 3-Series to experience anything close to that. And with the Audi pre sense® advanced safety technologies watching your back, the 2019 A4 offers luxury comforts and security in equal measures. The same simply can't be said for the 2019 BMW 330i xDrive. Whether you reside in Littleton or Denver, you'll love exploring the Audi A4 sedan at your premier Colorado Audi dealer. When you visit the experts at Audi Denver, we'll be able to give you even more examples of how the 2019 Audi A4 features and specifications pull ahead of the competition. Take an Audi A4 test drive and drive home in the new A4 sedan today!